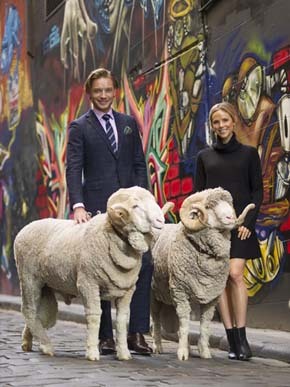 Klick's Award Season continues, #restaurantaustralia launches, Marriott International goes mobile, Woodford Reserve celebrates in style and meet Merino Ram Fred. This month we're celebrating - Mumbrella style. Following our win as mid-sized PR agency of the year at CommsCon, we're thrilled to have been shortlisted for Mumbrella PR Agency of the Year alongside the best in the business. 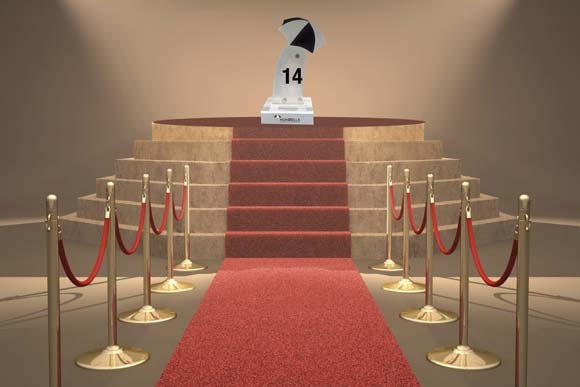 The 2014 awards dinner and presentation will take place on June 5, 2014 at the Star Event Centre in Sydney - wish us luck! We had the pleasure of working with our friends at Woodford Reserve at the Woodford Reserve Mother’s Day Polo Classic at Kurri Burri. The day was a shining example of southern charm and hospitality, with the Woodford Reserve pavilion the place to be. 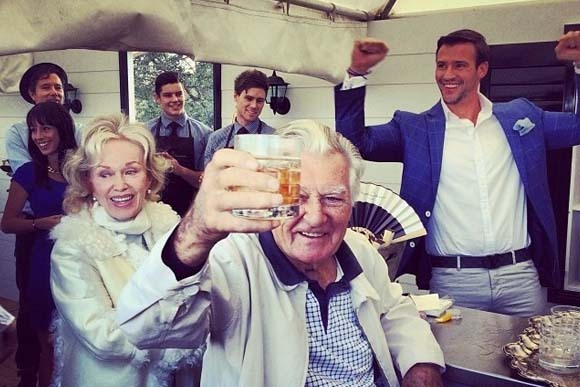 Former PM Bob Hawke and wife, Blanche d’Alpuget, stopped by for a Woodford Reserve Old Fashioned (or four) served up by Woodford Reserve’s dapper Ambassador Kris Smith. Other guests who experienced the Woodford Reserve Southern charm included Jayson Brunsdon, Joelle Hadija, Mahalia Barnes, Luke Jacobz and supermodel Nicole Trunfio. Some call it whisky business, but for us it was just another great day at work. Australia’s fourth annual Wool Week, part of the global Campaign for Wool, saw Melbourne’s Federation Square take centre stage to play host to a magnificent coloured wool installation. Top fashion and design retailers, including our partner The Woolmark Company, took part by creating impressive wool activations in-store. The star of the show was Merino Ram Fred (pictured), who took to the streets of Melbourne to check out all the hot spots and meet his many admirers. 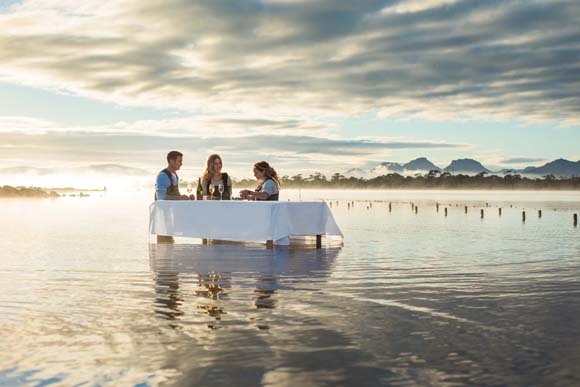 In response to the growing demand globally for food and wine as part of the travel experience, Tourism Australia has recently launched its global campaign Restaurant Australia - which aims to showcase the incredible food and wine Australia has to offer. Last month we attended the industry launch at the beautiful Quay restaurant in Circular Quay. We were like proud parents with our very own Saffire Freycinet a shining star of the campaign, with more inclusions in the T.A video than we were able to count (particularly as we were so busy eating all the delicious Tasmanian seafood). Use the hashtag #restaurantaustralia to get involved. Travelling just got smarter with the launch of Marriott's new mobile check-in and checkout app. 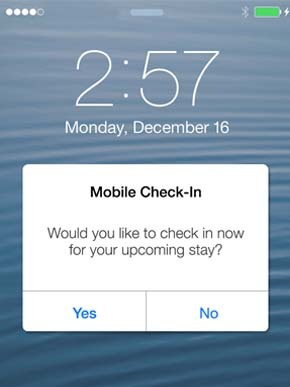 With the Marriott Mobile App, Marriott Rewards guests can check-in and checkout using the smartphone app - allowing guests to check in the day before arrival with an automatic alert telling them when their room is ready. Check out is just as easy, with a notification upon check out and the bill is sent directly to their email. Make that next trip a little easier and download the Marriott Mobile App from the Apple iTunes Store, Google Play and here. 1. He is an avid collector of Nick Cave memorabilia. Mick’s been working on his ultimate fan boy status for a few years with signed books, posters and the complete discography all forming part of the collection. 2. He is a beach boy. On any given weekend you’re likely to find Mick in the water. If you’re ever looking for getaway destinations on the South Coast he is your man. 3. He fancies himself as a bit of a foodie. 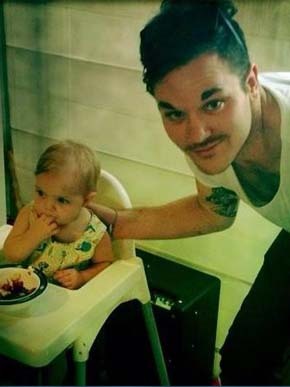 When he isn’t working on his fan boy status or out in the water, Mick is cooking for his family and friends. Favourite cuisine? Lebanese. 4. He is a bit of a bookworm. Mick has built a sizeable personal library over the years and is more than happy to lend a book. 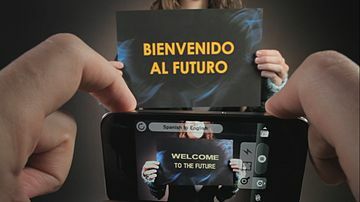 Klickstars are all about travel, and now our fave real-time translation app is free! Watch the video here. And lastly, get inspired with these 10 quotes from literary legend Maya Angelou.